Welcome! The staff and surgeons at the Atlanta Center for Foot and Ankle Surgery are pleased to welcome you to our center. Established in 1997, the center has been the standard for excellence in foot and ankle surgery in the Atlanta area. 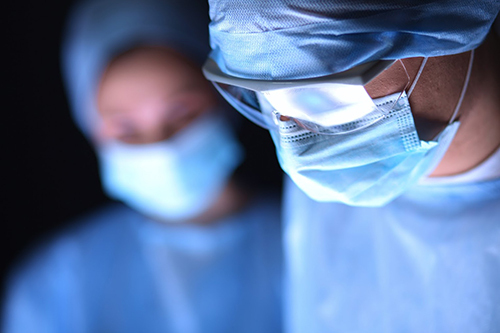 Our expertise is foot and ankle surgery and we have some of the most experienced nurses and surgical techs who have been with us since the beginning. That's why the top podiatric surgeons in the Atlanta metro area choose the Atlanta Center for Foot and Ankle Surgery for their patients. We want all our patients to be informed decision makers and fully understand what's invovled with your surgery. We encourage you to visit this site whenever you have concerns about your feet or to learn more about surgical treatments. Our web site also provides you with background information about our center, staff, surgeons, required paperwork along with maps and directions to our center in Sandy Springs and other useful information. We know how hectic life can be and are committed to making our center convenient and accessible. We want you to feel confident that when you and your podiatric surgeon choose the Atlanta Center for Foot and Ankle Surgery, you're working with medical professionals who are qualified, experienced and caring. Please take a few moments to look through this site to get a better feel for Atlanta Center for Foot and Ankle Surgery's capabilities and services. Learn more about our podiatric surgeons here. "The staff was comforting and my surgery was much easier than I imagined" -Jennifer C.
"I was impressed that the center specialized in nothing but foot and ankle surgery." Michael P.